We have been training students and working professionals for IELTS Academic & General since 2008. 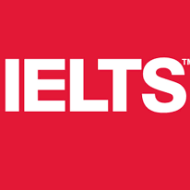 We are authorized IELTS registration centre of British Council & IDP. Majority of our students get a score of 7 band and above. IELTS Coaching India conducts classes in Class 10 Tuition, Class 11 Tuition and Class 12 Tuition. It is located in Patel Nagar, Delhi. It takes Regular Classes- at the Institute.